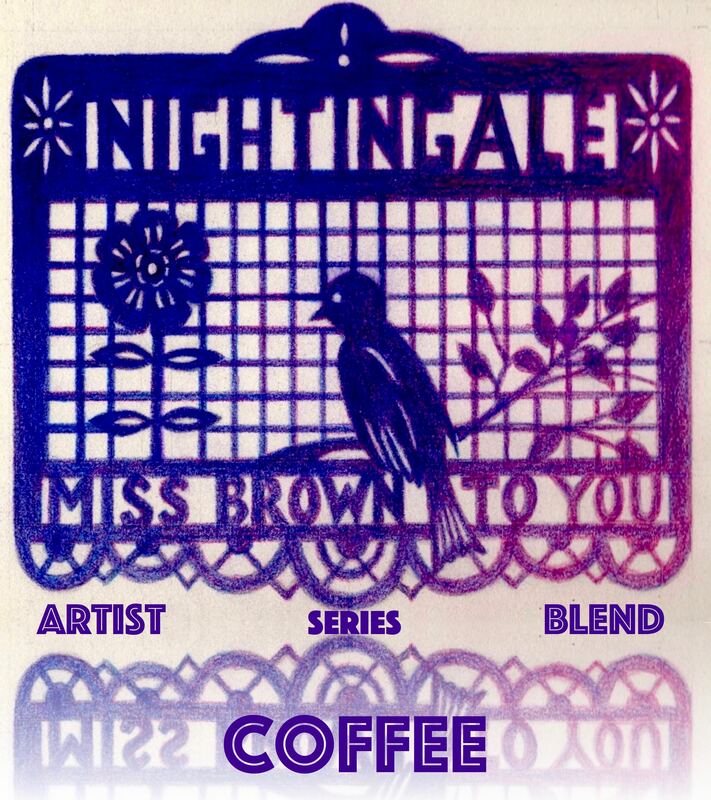 Our Artist Series Coffee Blend program is a collaboration with local individual artists to create a unique coffee blend. A portion of the sale of every bag of their individual blend goes directly to the artist to help them continue to create. Our intention is to encourage a culture of support for local artists within the business community. We feature one artist annually with an open warehouse party/art opening/concert/performance to introduce the artist, their art, and their coffee. 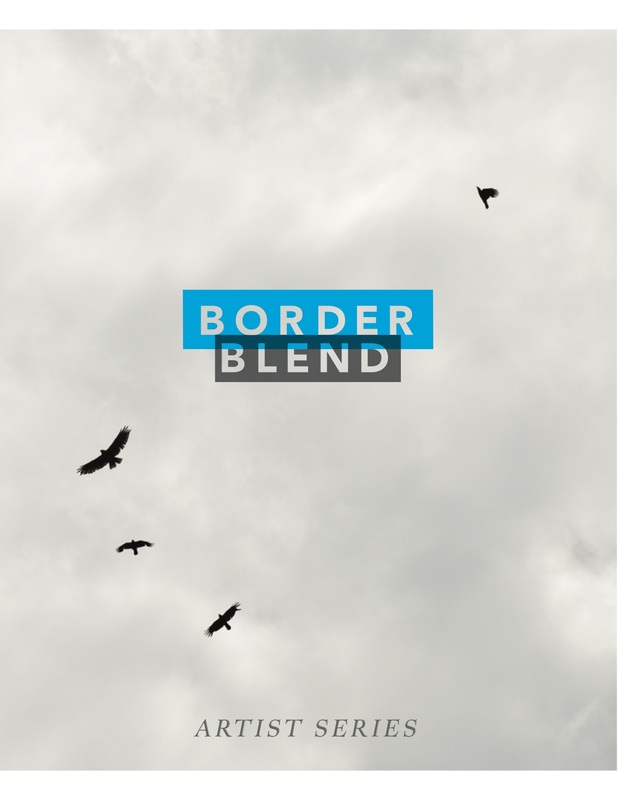 Eyakem’s “BORDER BLEND” coffee is a certified organic blend of African beans, chosen for their complementary notes and roasted to a light- medium profile that tastes great with any brewing method. Originally from Ethiopia, now based in Oklahoma City, Eyakem Gulilat’s artwork is rooted in a quest for belonging. His photography examines the differences between subject and photographer, the borders that distinguish us from one another, and the ways our perceptions shift when we view each other through the camera’s lens. Eyakem’s artwork has won many awards, has been exhibited across the United States and Canada and has been acquired for private and public collections. He was most recently awarded the 2018 Fellowship with Houston’s prestigious “Project Row Houses.” PRH is founded on the principle that art, and the community it creates, can be the foundation for revitalizing depressed inner-city neighborhoods. A folk ballad from the misty hills of Kentucky. A sophisticated jazz standard, heard through a New York doorway. Steamy blues from New Orleans, circa 1920. A swinging two step at the dance hall, where Bob Wills is on the stand. A samba igniting the hills of Rio de Janeiro. These musicians perform with passion and humor and total commitment to the emotional power of the music they love. Miss Brown to You refuses to be confined to one style, one period. Instead they prefer to expand the horizon of every genre they play, even while upholding the traditions of the musicians that have inspired them in the past. The musicians that make up Miss Brown to You are capable of an eclectic abandon that few other bands attempt, and they are looking for an audience that appreciates a broad palate of musical colors. militant optimist is romy owens, our first Artist Series Blend artist. 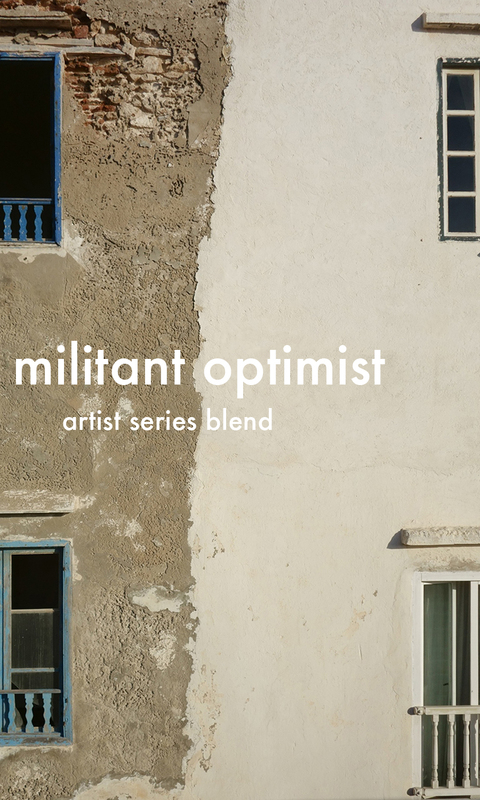 militant optimist blend coffee is a light/medium roasted coffee with a medium body, mild acidity, rich nutty caramel flavor, chocolate notes, and a sweet finish. romy owens is an artist and curator living in Oklahoma City. She makes site-specific installations, as well as smaller objects, in reaction to place, community, and transformation. Her curatorial work attends to a similar focus. Over the past decade, romy has established herself in the Oklahoma art community, as an artist and a curator. She was selected as the first Emerging Curator for Momentum OKC (2009), the first Emerging Artist of the Year by the Paseo Art Association (2010), and the first Artist in Residence (2012) at the Skirvin Hotel in downtown Oklahoma City. She currently curates Downtown OKC, Inc.’s Invited Artists Gallery in the Underground, and works as the project curator for Downtown OKC Initiative’s Artist Invitational. This year, she co-founded Current Studio with Kelsey Karper. owens was selected as a focus artist for the Oklahoma Visual Arts Coalition’s inaugural Concept/OK exhibition in 2012 and for the 2014 iteration of Art 365, for which she also received the Mid-America Arts Alliance’s Innovations Grant. Most recently, owens completed The Unbearable Absence of Landscapes, a community-building site-specific installation at 108|Contemporary in Tulsa, which involved collaboration with 350+ knitters and seamers. owens’ art is part of private, public, corporate, and museum collections.